There are so many funding options for business growth. The major hindrance to starting up a small business is funding. Most entrepreneurs don’t realize that there are more ways to get funding. Get the right guidance and advice from invoice funding broker. Internal or external funding is a vital part of business growth, but what type of funding do you need when? While each small business might have a different path towards expansion, financing will still be required each step of the way. Here we outline the typical stages of business growth and the key types of funding for each. The first steps of a business are often referred to as the `start-up’ phase. If your business is in this stage, it means you have legally established yourself as a company, and your products or services are ready to go to your first customers. During this early stage, you are likely to be making a number of investments from building up stock, to buying or renting a premises for your business. Small business loans, overdrafts and invoice financing can lend a helping hand when it comes to boosting cashflow, as it’s likely you face the challenge of not burning through your cash reserves. To help maintain an upward trajectory in profit, finding the best funding options for your start-up is crucial. If, as a start-up, you have demonstrated that your business will be successful by generating consistent income and gaining new customers, then you have entered the next step in your journey – growth. This stage will see your profits improving slowly but surely as revenue begins to cover ongoing expenses. Balancing production capacity to meet demand is crucial, which means you may need the right funding to keep driving this growth. After a sharp growth trajectory in the previous stage, your business may enter a stage of manageable sales growth, building a group of loyal customers and securing a solid place in the market. Many of your new customers might be through referrals from your current clients. At this point, your business has entered the established stage, which means you have made the next move forward in your growth journey. It’s all too easy to sit back and relax while in the established stage. Rather than becoming comfortable, you should instead look forward to the future and focus on improvement, productivity and driving innovation. Businesses who have reached the expansion stage are typically growing into new markets and distribution channels. Market share is growing, which allows you to look to expand your workforce and appeal to customers with new products. While expanding your business’s ventures is an exciting move forward in your growth journey, you will still need to perform similar planning and research as you did in the start-up stage. What do you know about your new markets? How have your customers’ needs changed? When your business becomes mature, it might face challenges like dropping sales and profits, along with the after-effects of the expansion phase – negative cash flow and growth plateaux. At this stage, it’s likely you will face many decisions that could be difficult. Should you sell and exit your business? 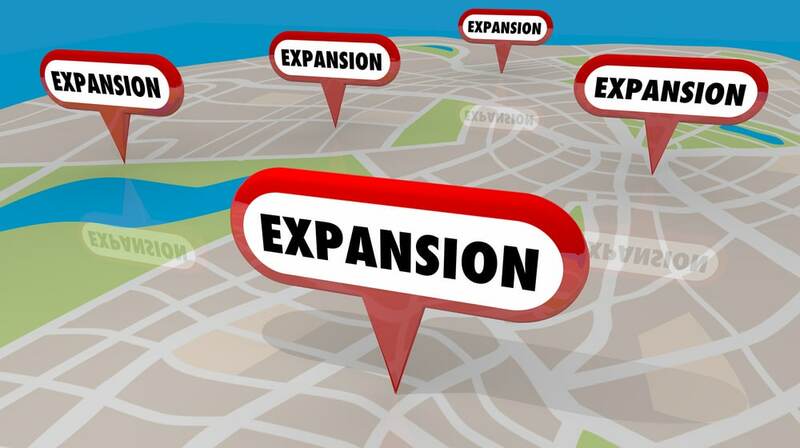 Should you continue expanding? Depending on the decisions you make, your funding options will change. Can you get business finance with a CCJ?